You may feel like your current them song is: “It’s getting cold out there, so put on winter clothes.” Brr it feels to early for Chicago to be so chill! You may wanna hibernate through March but thawing out with exercise can bust winter blues and strengthen your immune system. Annnd you don’t need to wait for all the Jan 1st resolution peeps to clog up the gym. Throughout the next few weeks, we are going to share some of our favorite workouts from 2016 to get your 2017 to start strong. Do you suffer from repetative routine syndrome? Studio Three can cure your boredom with some spicy variety. Studio Three‘s tri-level fitness mixes up your workout mojo with a cutting-edge Peloton® indoor cycling, interval training and yoga studio. 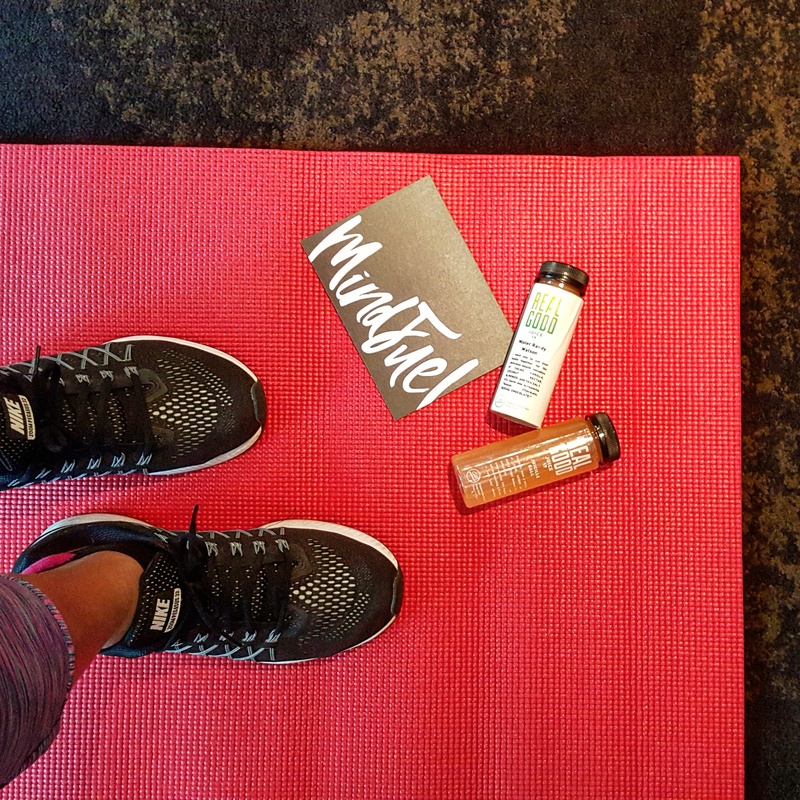 You can double it, ensuring you get that stretch after a tense strength sesh. So what is Studio Three really like? Well, first you can check out our initial visit here. This go ’round, we branched out of our yoga pose zone and tried Studio Three’s Athletic Yoga with instructor, Sui Wen. This 60 minute hot yoga class kept it’s promise of being athletic. It felt like a mix of ballet inspired graceful moves blended with serious body weight sets intersperced with balance challenges. Seriously, we have not tried anything like it before. We wouldn’t recommend this class for students just starting yoga but…if you’ve been around the mat a couple of times, this class will summon your inner and outer strength. After your class, you can refuel with Studio Three’s full service cafe with smoothies, juices, cold brew coffee to cool the sweat. The cafe offers free wifi too so you can catch up on on the newest fit articles while you soak up all your hard work. Looking to commit to a healthier lifestyle too? Studio Three is kicking off a brand new nutrition 101 program. 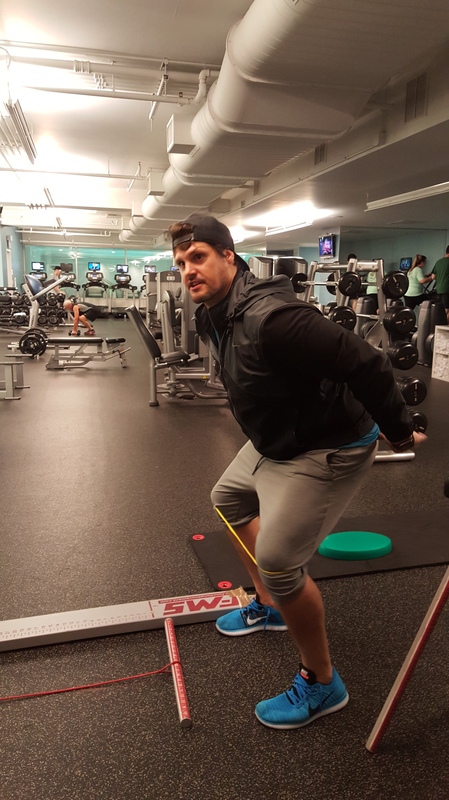 From Jan 15-April 30, you’ll get an initial assessment, bi-monthly meetings with Precision Nutrition Coach, Dustin Hogue, live cooking demos, custom food lists and recipes. This is something we’d love as most “programs” command what you can and can’t eat without considering diverse eating styles like veggie eaters or gluten free lifestyles. Call the studio for more info and pricing! Pick up your first class for only $13 bucks and work that snow bunny body with some sweet yoga, cycling or interval heat. Have you tried Studio Three? Tell us what you think in the comments! 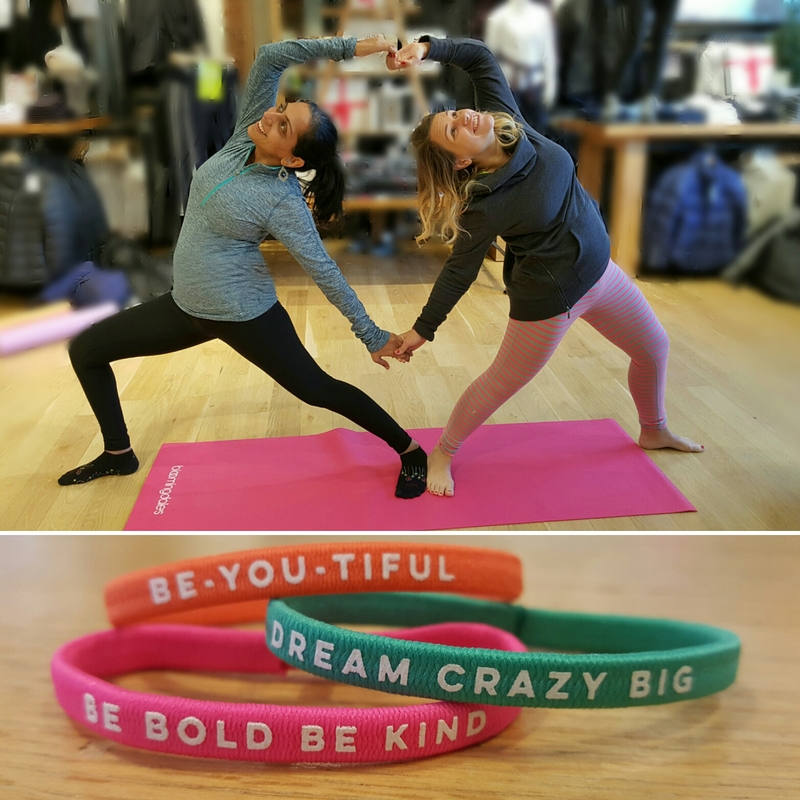 FREE FITNESS: The Bar Method Classes this Weekend and GIVEAWAY! Happy birthday to you! Happy birthday to you, happy birthday dear Bar Method!! What kind of birthday is it when you get a present instead of the birthday girls? A super sweet and sweaty one! The Bar Method is celebrating it’s 15th birthday of making ladies long and lean. Bar Method’s signature moves are low impact yet can strengthen and tone you. We are huge fans (like the kind of fans that have the big foam finger) of Bar Method and can’t say enough about their results. Read our past experiences with Bar Method here!! Oh and your present? You thought we forgot! 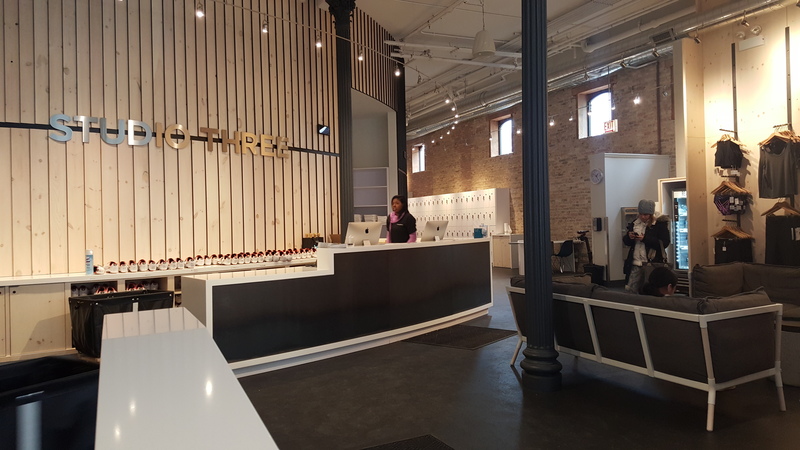 **Winner must be able to pick up socks at a Chicagoland Bar Method locations and must be a new client. Giveaway 8/19 10 pm – 8/20 12 am**. Free class offer is valid on August 20th and 21st at any of four Chicago locations. Call the studio you would like to visit to check the schedule and reserve your spot. Rise and Shine, beautiful friends! Working out in the morning can give you energy all day. 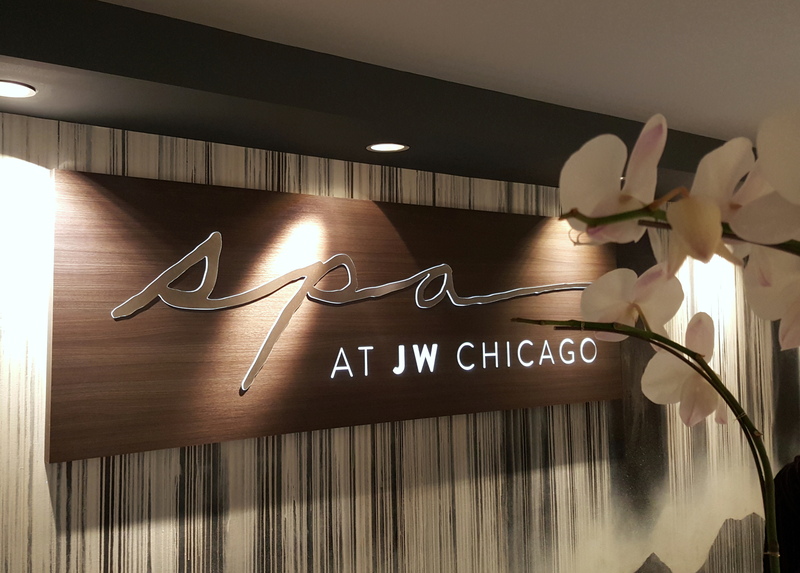 And who wouldn’t get out of bed for a new kick a#@ workout, free samples of the new LUNA bar flavor, a beautiful Chicago skyline view at the ROOF at the Wit and more. 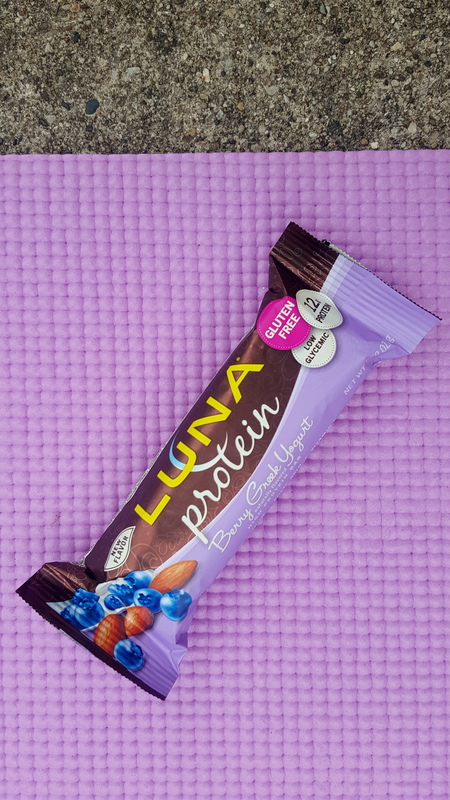 LUNA delivered just that with the launch of their new Berry Greek Yogurt Protein Bar and threw a fitty party that would make you break up with your covers. 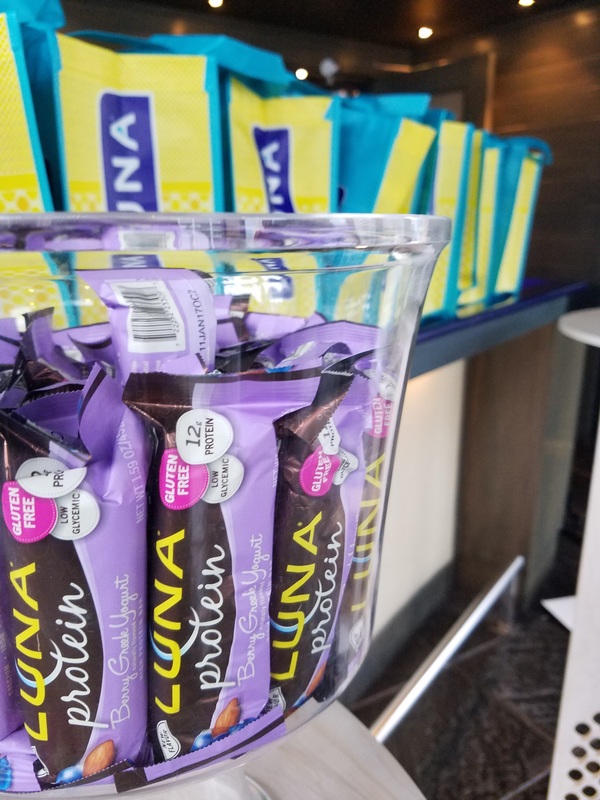 LUNA’s new protein bar is a refreshing new flavor for those of you who doth not love chocolate (we know, some people are weird like that!) or people who want a breakfasty bite after an early workout. LUNA Protein is gluten free and high in protein. LUNA brand is one of our favorites because of their girl power focus and their promotion of positive initiatives for women here and abroad. And taste? Kate isn’t a huge fan of protein bars in general and Monica is not crazy about sugar laden bars. 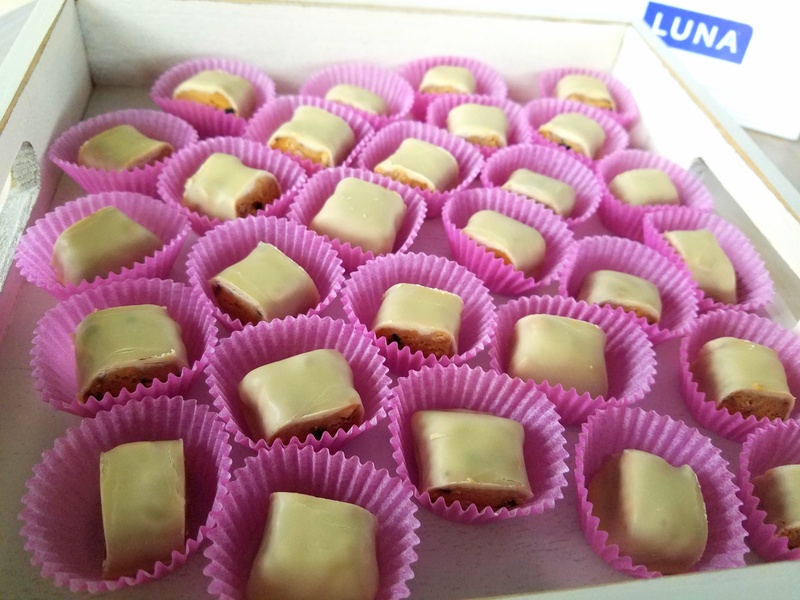 But the light yogurty coating and fruity filled flavor is a great combination. 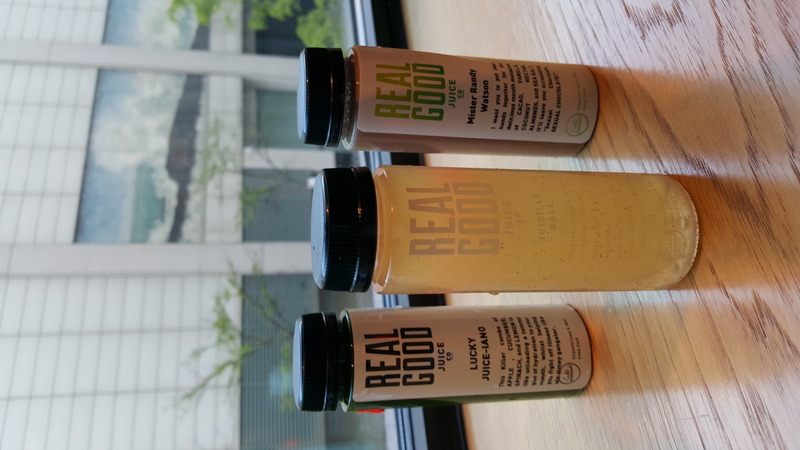 It hit the spot after the crazy sweaty morning workout with Betina Gozo and Jeana Anderson. 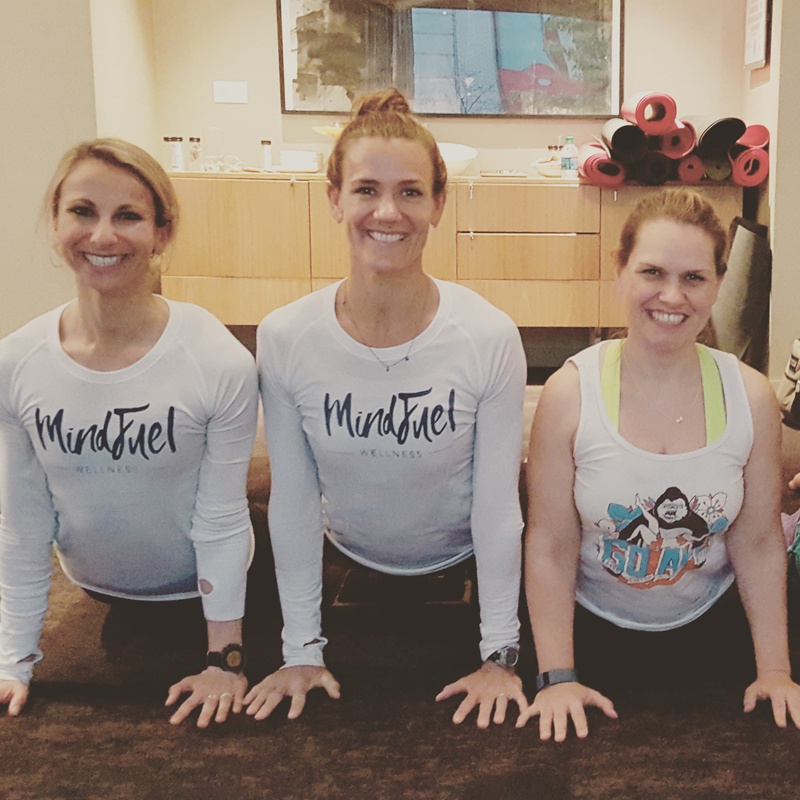 Chicago based rock star NIKE master trainer, Betina Gozo, and the motivating Jeana Anderson Cohen from #asweatlife cheered us through a partner based HIIT workout. 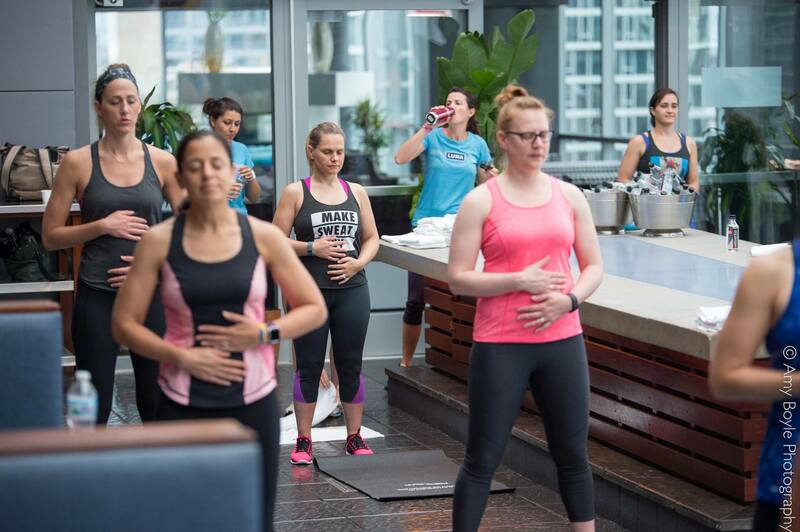 Jeana Anderson Cohen’s concept, #SweatWorking, aims to get people in Chicago working out while networking and getting to know each other. Betina ensured that we did by pushing our partners to their physical limits, making us feel stronger and more connected to each other. We celebrated our successes with a LUNA Protein Berry Greek Yogurt bar. Check our Instagram video post for the cool experience. 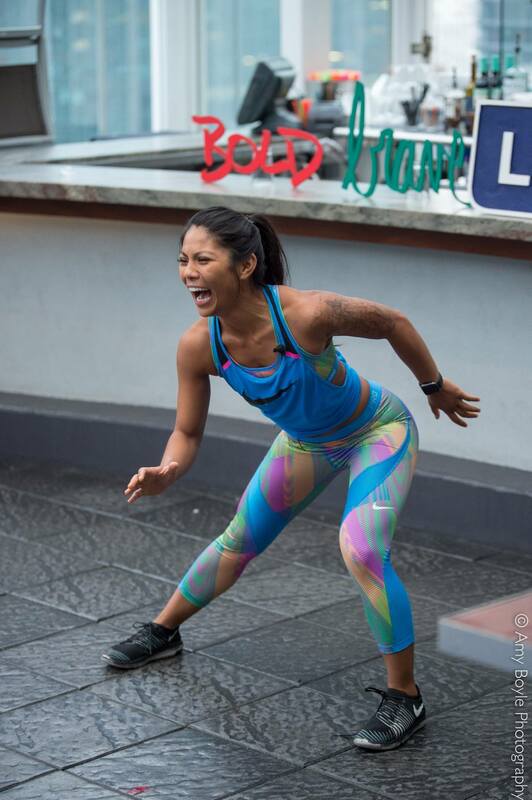 Also, go to the Nike Training Club schedule for more FREE workout classes with Betina and other Nike masters. Sign up and bring your LUNA Protein Berry Greek Yogurt Bar. 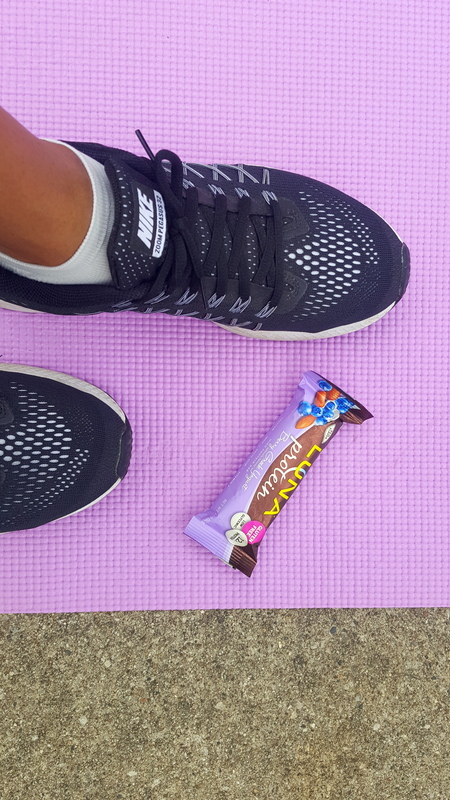 You can make your own post workout berry bliss any where LUNA bars are sold! Mud Run Fails and Fixes for Mudderella! Do a Burpee, Save a Life! Do you wanna know a secret? We’ve been practicing yoga for years. It’s what brought our friendship to fruition. BUT! We’ve never taken a Yoga 101 class until now. Studio Three’s new FREE Yoga 101 class offers a format that is accessible to anyone, from new yogis, to sweaty gurus (especially those who need patience practice). So don’t be nervous if you’ve never ventured into this world of open mouth tongue out breathin’. We checked it out 2 Saturdays ago and checked our assumptions at the door. 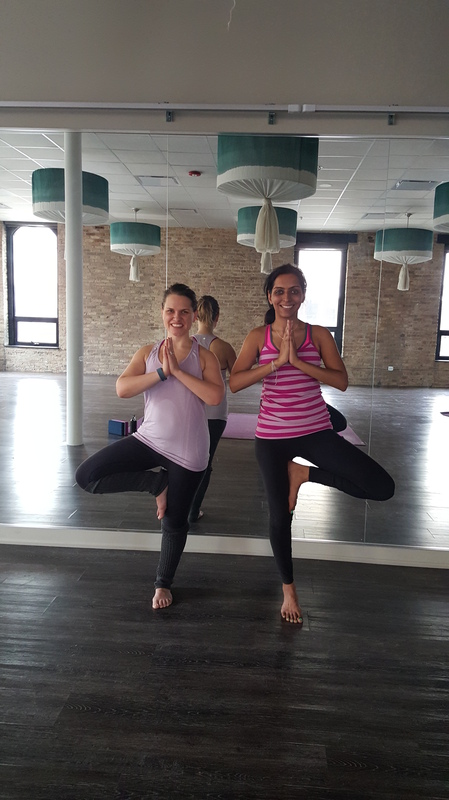 Studio Three’s yoga studio features linen covered decorative lamps (good for staring at in a hard pose), hardwood floors and natural light to induce relaxation. Studio Three also features cycling and interval training in its other 2 studios. Attending your first yoga class can be intimidating. You know, those people all stretching and showing off their wacky legs behind their head poses. However, our teacher, Todd Rhoades, was bubbly, welcoming and accommodating to all in the room. Luckily no one in our class was stunting either. Todd is multi-talented and has a background in yoga, and dance. This evident in his grace and ease at talking through poses. Note: Emily DeBouver and Maggie McElhiney are teaching an “It’s Britney B*^#h” dance class on March 25th at Studio Three if yoga’s not your thang. We began with pranayama practice, breathing in one nostril and out the other, sometimes feeling like a drowning hippo. Prana what, now? It’s a breathing practice for yoga to help you be in tune with your gorgeous bod. We then moved on to sun salutations with an explanation and demo of each step. Class may seem slow if you are used to quick vinyasa flow but we were sore after and learned a ton. Classes can cover a variety of topics including etiquette, form, history and/or alignment. Bonus: This Saturday, March 19th, is Yoga 101 with QUICHE AND MIMOSAS!! Sign Up: First, sign up for an account. Next, schedule yourself! Already experienced? 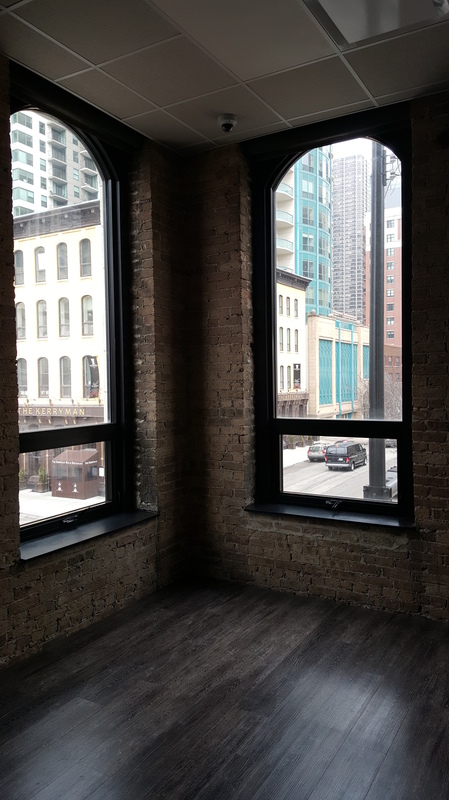 Studio Three could appease many a yogi with styles from Forrest Yoga (from the amazing Allison English) to Hot Power, Flow, or challenging Hi-Def (integrated yoga and strength training). We gots to go back and give another try another style. *Update* 3/25/2016 Yoga 101 will morph into Power Yoga 101 for April.